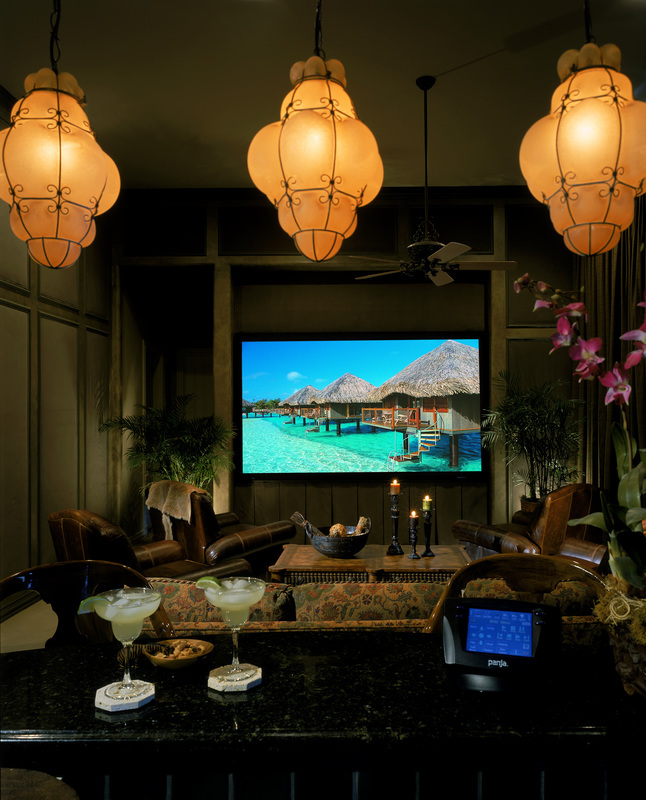 Many of the projects on this page were done throughout my career with different audio video installation companies in the Austin Area. After 21 years of working for others I am now working for myself. All of these pictures are of real theaters with real images on the screen. These are not canned images. If you have seen some of them before it's because they might have been published at one point. I assure you they were all project managed, designed and installed under my direct supervision. I am proud of these projects. I worked extremely hard on them. Don't be mistaken though. 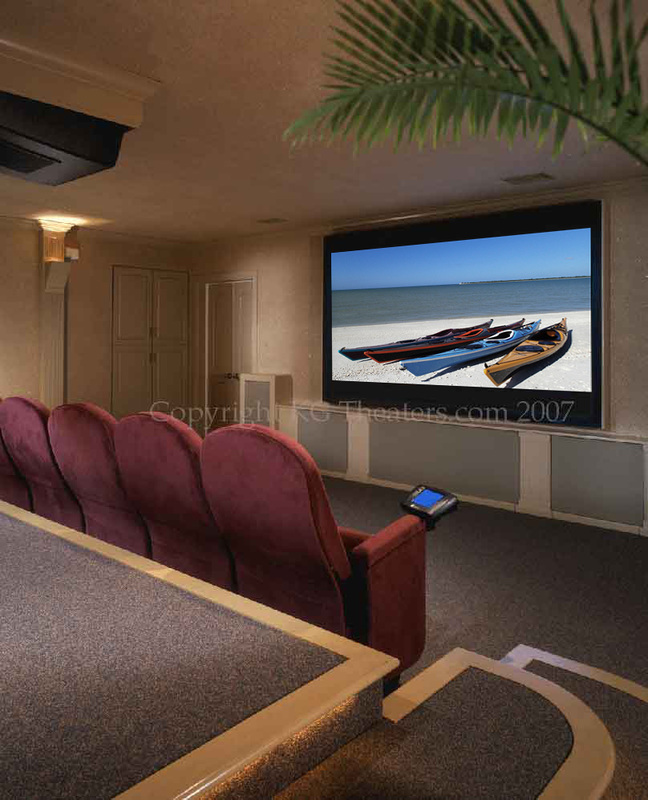 We can help you with any thing from a basic Theater or Media Room all the way to the Taj Mahal of Theaters. These are just pictures of some that turned out the best looking over a long career of helping many clients have a simpler electronic life! When I was asked to GSD&M Idea City Downtown years ago I jumped at the chance. This 23 seat theater was a fantastic project for great people! 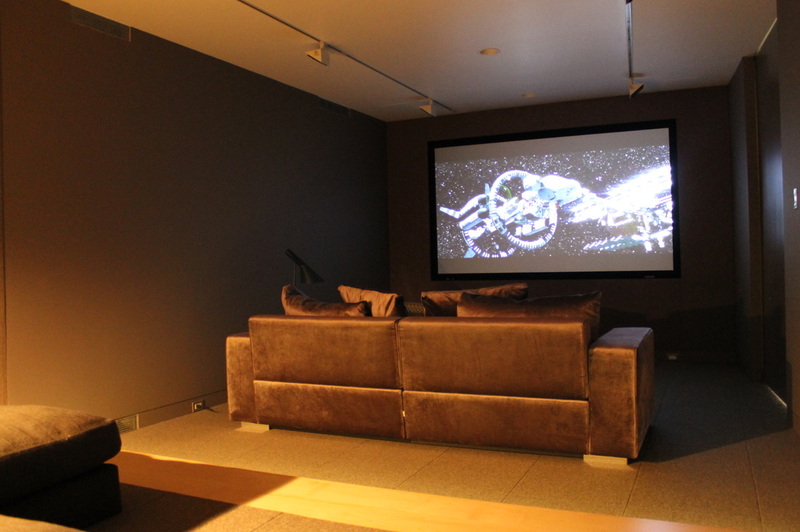 The Sitting Room...The screen retracts to reveal a 61" Plasma on the wall that can be used in full day-light viewing. Notice the automated hurricane shutters. They drop automatically in Movie Mode. One of dealer friends referred to this room after hearing it as the "CAT" Headphones named after the speaker manufacturer. 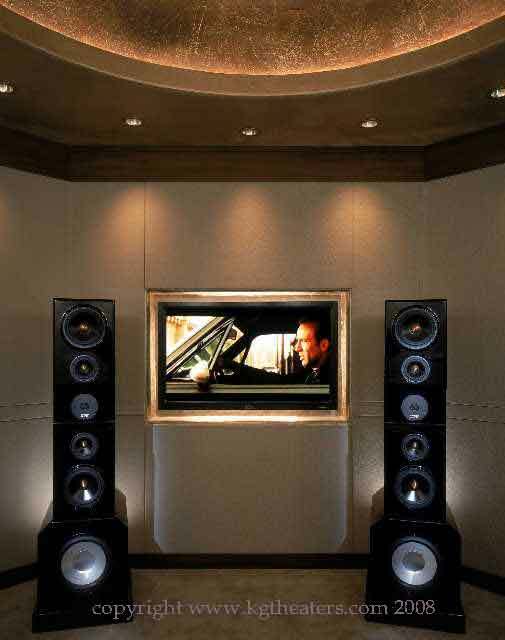 It was a truly remarkable experience to have audio this good in a room as geometrically challenged as this one. We CAN fix those trouble rooms. One of my favorite theaters. 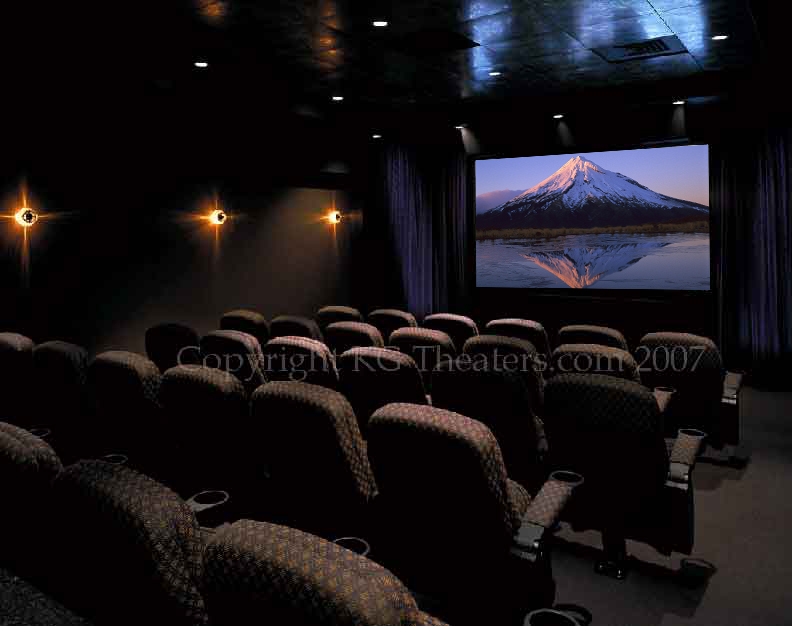 This simple theater was comfortable and affordable. The bar at the back just made you want to hang out for days. This more formal space was originally built for the 1999 Parade of Homes (yes I have been at this a while). 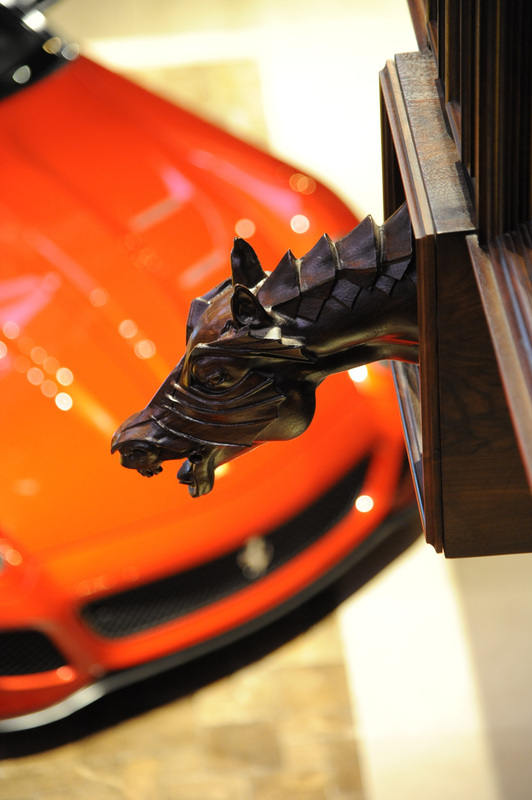 It wont best of show. Based on the old movie houses it used the traditional Irwin Theaters seats something we seldom do today but it sure was nice then. 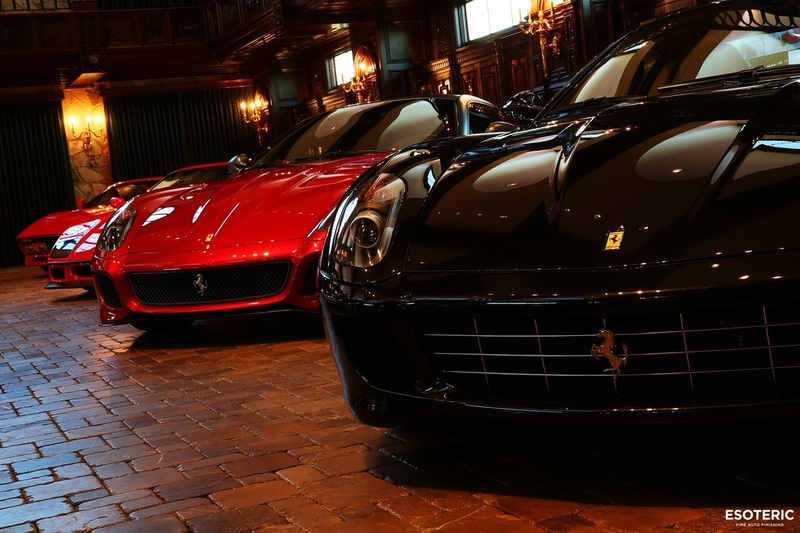 Racking up the gear is important. It's not only how good it works but it's also how good does it look. This neatly built rack featured state of the art components for it's day. Now we can do the same thing in half the space. Sometimes we like to have fun with a space. This little dead corner was just a stairway to get to the Theater. 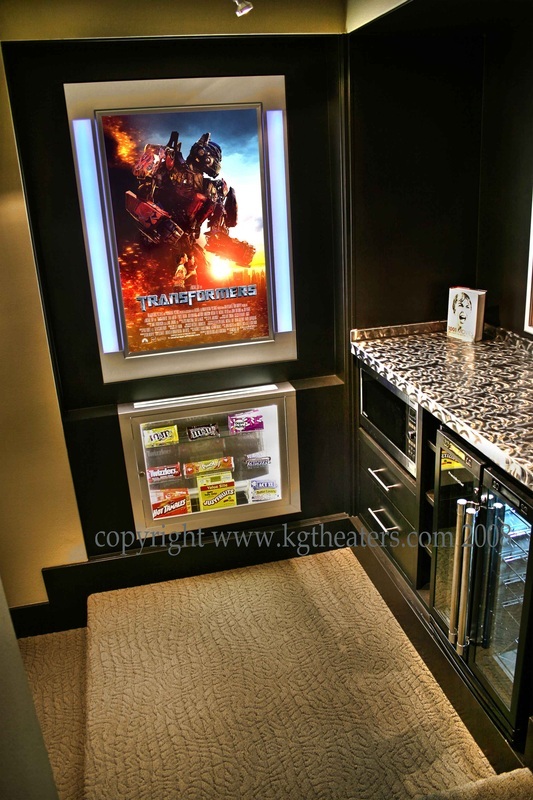 By using a movie poster case, candy counter, microwave and refrigerator it became much more. It sets the mood before you ever reach the Theater. 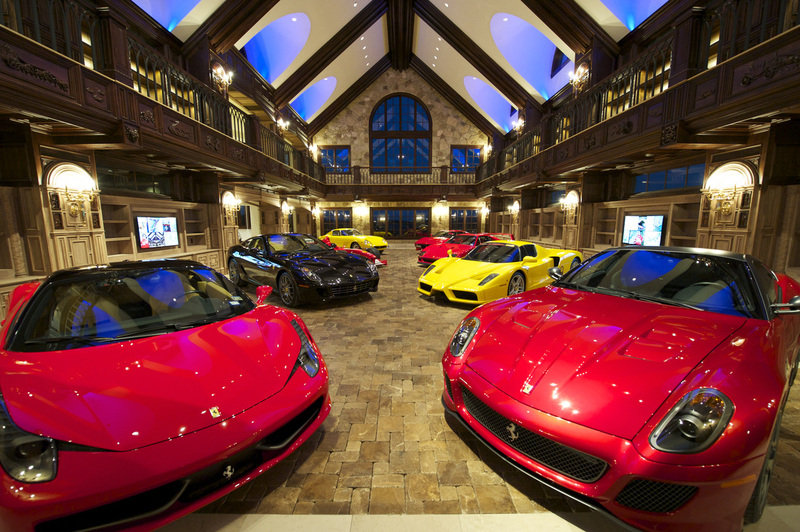 We just recently re-worked this room. The screen at 123" diagonal did not change. Nor did the amplifiers or speakers (they still sounded great 10 years later) we did however upgrade the projector and all the switching. We also updated all the Lighting Control and the Control system. It all runs off I-Pad's now. Perhaps one of my first real theaters this one has a few mistakes. I see them now. But you learn from them you move on and you improve. 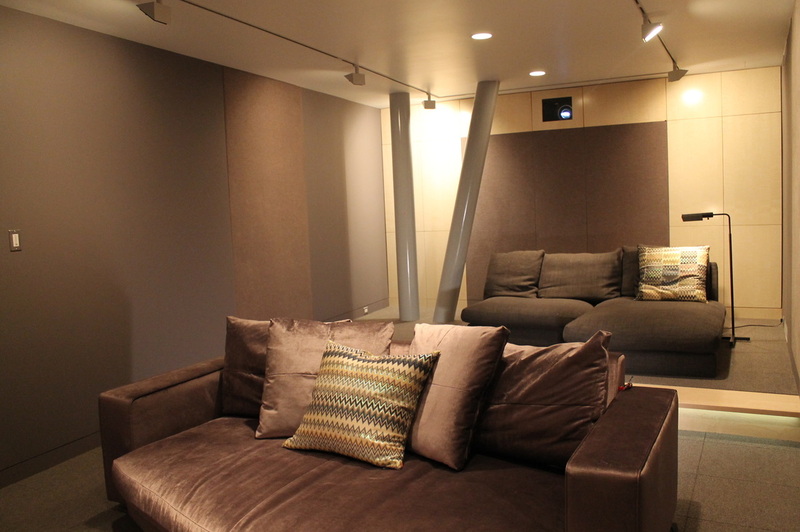 Even with that said it is still an awesome little movie room. 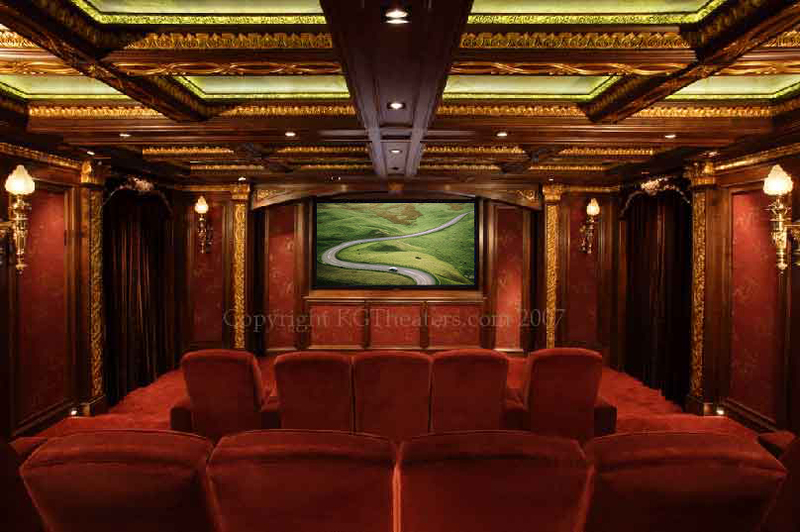 This Theater was done in a house on the Lake. It was a real treat. 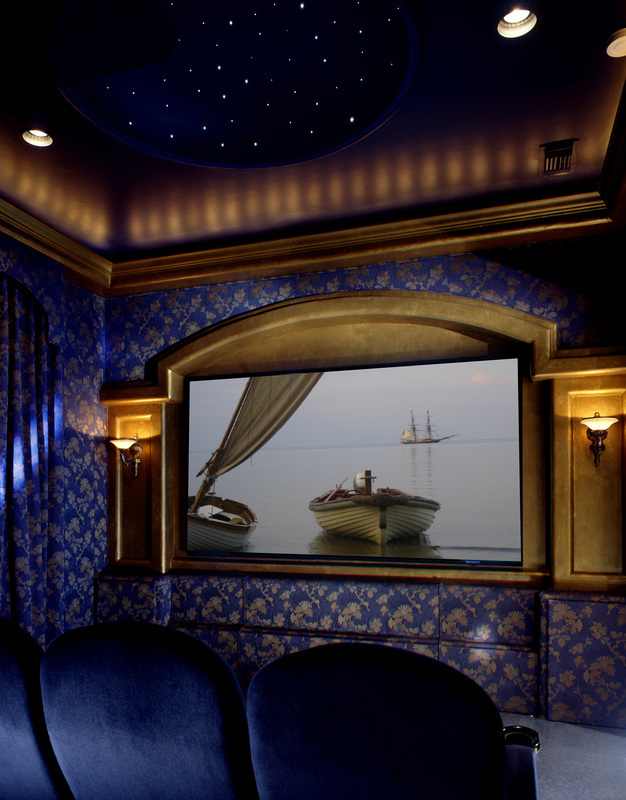 The windows left of the screen had full curtains that retracted for spectacular views of the lake when the Theater was not in use and the screen retracted up and hid away to show off a fantastic piece of art. 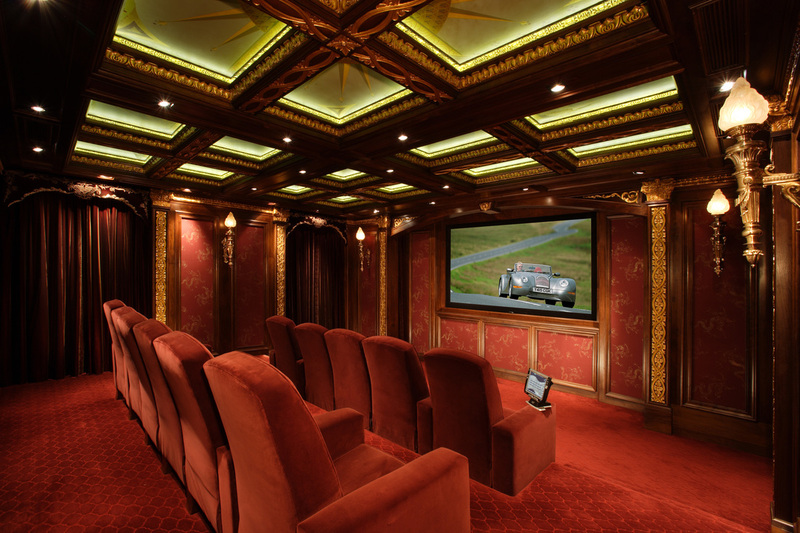 This Theater could go from sitting room to Theater in a flash! This simple modern theater was a real challenge. The immovable beams forced us to do some mockups and ensure the projector placement would work. The client wanted a very simple but elegant room! 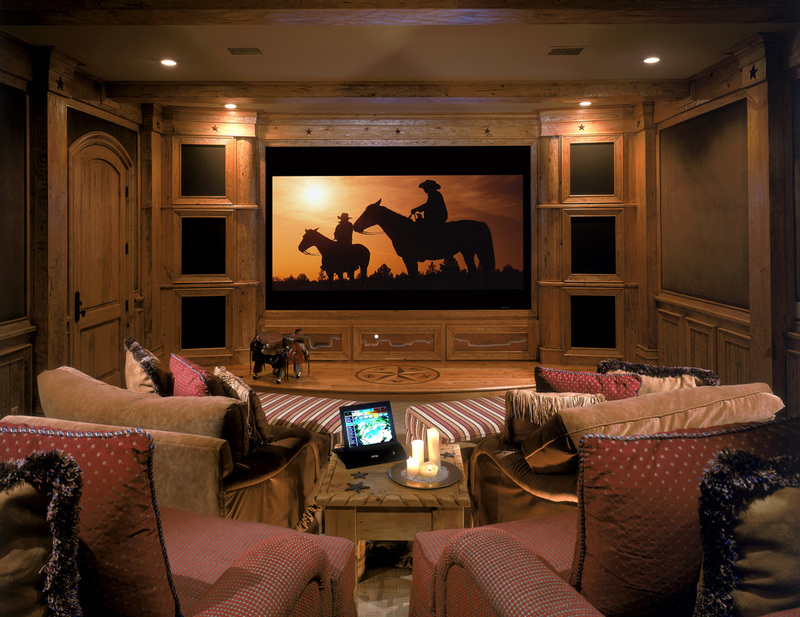 Carefully placed lighting allows the screen to remain bright and not washed out while the lights are pretty bright in the seating area. What you don't see is the 6 qty 12" subwoofers and 7 main speakers all hidden discretely while only losing 6" of floor space! This is perhaps my greatest Theater of all. Features a full CAT MBX Level Theater yet you can see no speakers. It has full towers for all channels and an additional 32 qty 12" subwoofers for bass balancing. Each of the 14 amplifiers has it's own dedicated 220volt circuit. CAT hand tuned this theater spending almost a week to get it right. One editor described it as the F16 of the Theater world. I am very proud indeed of this room and it has only been upgraded and improved since this was taken! Can you find all the speakers? 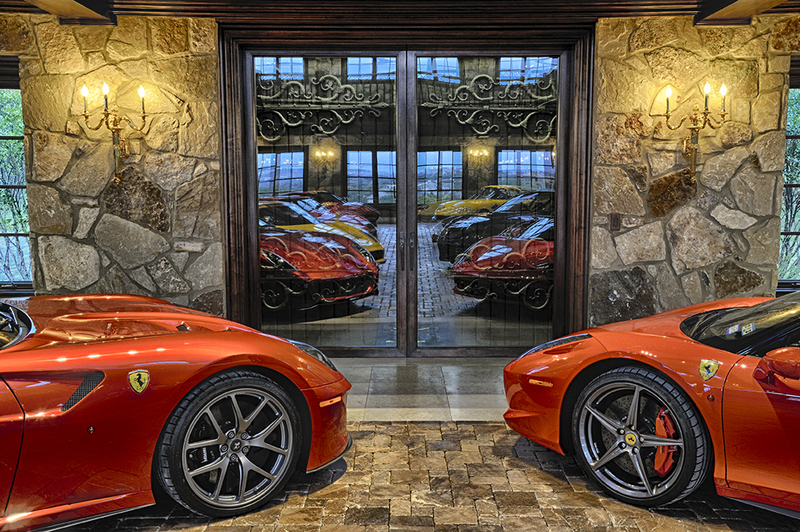 This amazing collectors garage was put together over a 2 year period for my longest running client. I served in many capacities on this project including Interior Designer, Project Manager, Asst. 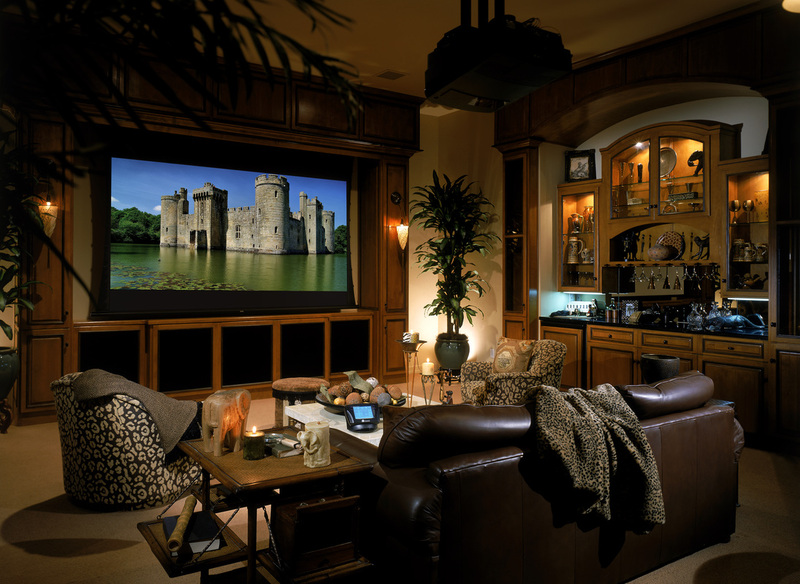 Lighting Designer, Art Director, and of course Audio Video Designer and Installer. 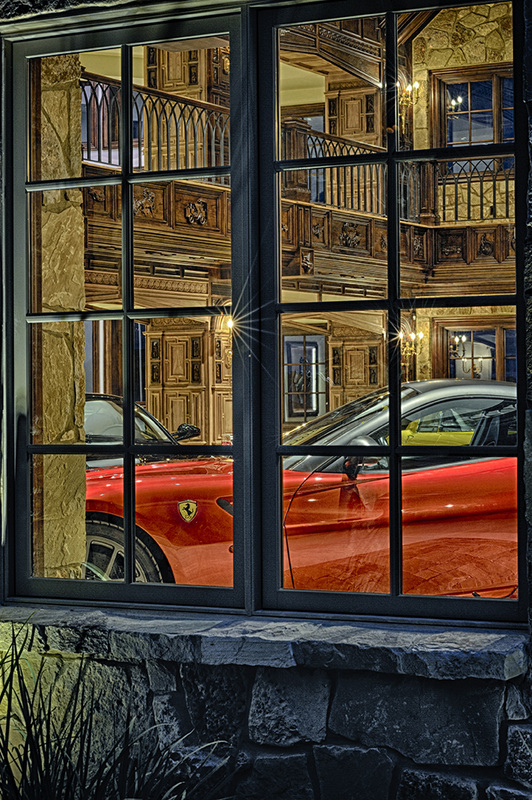 Featuring a full Lutron QS Lighting Control system that controlled over 200 individual loads the cars sparkled like jewelry. More to come on this project! This picture was taken just before the inaugural F1 race in Austin Texas. While the building was not quite finished as you can see here. 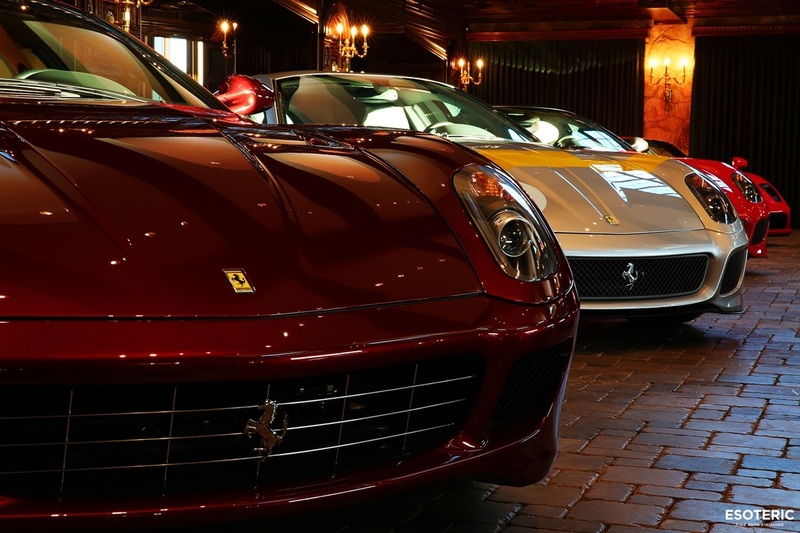 It was still stunning for the F1 group that came to have a sneak preview! On this project I acted as the Interior Designer (with help from my wife a licensed Interior Designer), Mechanical Systems Supervisor, Art Director, Lighting Designer with help from Charles Thompson of Archilume and lead an amazing team of craftsmen. In addition to that the audio was on par with the building. 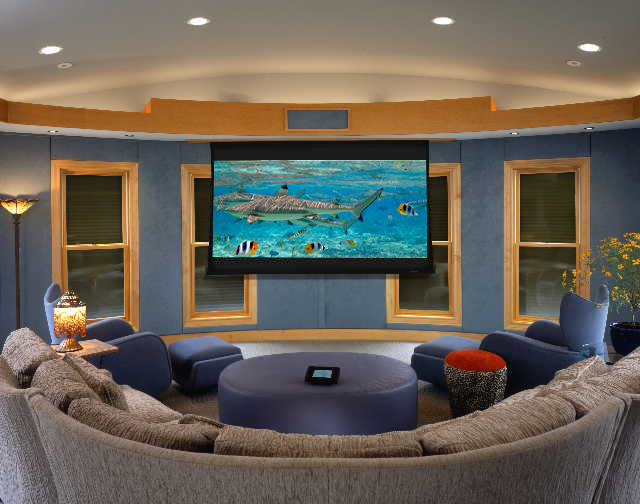 It features a full CAT system completely hidden and a full Media Room for the ultimate man cave. Now fully populated with the cars and all done I hope to have completed pictures soon. I have been fortunate to work on some amazing projects in my day. This particular project was started during the days of Dyer Electronics, finished under the Texas Integrated Days and we then re-worked the system during the ALPDS days. I have a long standing relationship with this family. I love them all like they were my family. They have been very kind and gracious and projects like this simply are not possible without clients like them.